Unlimited and cheap data plans are still a pipedream for many. Though, users in developed nations such as the US, UK and Japan etc. have the comfort of low-cost unlimited data plans. But other nations still have a dearth of reliable and low-cost internet providers that prohibit users to enjoy the fruits of internet. 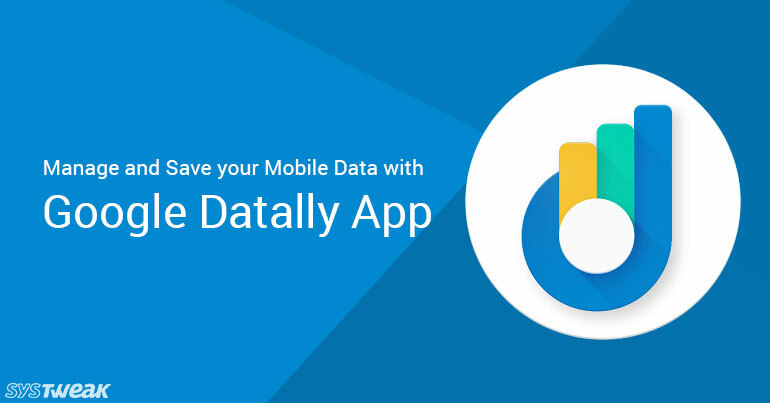 Thankfully, now Google has showed its concern and launched a new app for all Android Users known as Datally. This app helps you understand that how your data is used, how you can make a check on it and how can you save it. The testing of the app was started few months ago in Philippines named as Triangle. But after completion of successful experimentation phase now the app is globally rolled out. The results which were achieved by the app in Philippines were quite encouraging. As per Caesar Sengupta VP, Next Billion Users Team, “We’ve been testing Datally in the Philippines for the past few months, and people are saving up to 30 percent on their data”. Now coming back to the app, this app not only effectively help you in controlling your cellular data but also recommend you connect to Public Wi-Fi whenever available. It is one of the simplest of the data saving apps available on Play Store. Moreover, it is one of the app which is designed by Google itself, and who understands your Android phone better than Google. Install the app from Google Play Store. Now to get started tap on Continue button and allow the permission which it requires. Next you have to turn on usage access. For this tap on Open Usage Access. Now tap on Datally to grant it access that it can monitor other apps installed on the phone. Tap on Allow usage access to turn it On. Next you be asked regarding your participation in helping improve Datally. There’s nothing wrong in it so just tap on Yes, I Agree. Now before you start using the app, you have to perform few more steps. Tap on Set up Data Saver to start saving the data. This app uses a VPN connection to monitor and block the data used by the apps. Therefore, tap on Allow button to allow connection request. That’s it. Now, Datally is doing its job by blocking data access for the apps installed on your phone. However, if you wish to grant data access to any app like Gmail or Whatsapp just tap on Manage data followed by the app for which you grant data access. Help in understating the data usage: You can track the data usage by various app on hourly, daily, weekly or even monthly basis. Real Time tracking of data usage: This is one of the most noticeable feature of the app. Data Saver bubble helps you to track the data usage while using an app at real time. Also, any time you can block the data with a single tap in case you find that app is using too much of data. Wi-Fi Finder: This is a feature which fulfill your desire of getting more data than what you possess. Datally helps you in finding the near public Wi-Fi so that you can continue even if all your cellular data is exhausted. And if you are still not contend with all these features then there’s much more to come in near future. As per Google these two and many more features are in testing phase and will soon be rolled out. So, if you are using Android version 5 and above on your smartphone then start using this app now as data saved is equal to data earned.